Just because you live or work in the Toledo, OH area, doesn’t mean you need to abandon your dream of owning a new Porsche. That’s because Porsche of Ann Arbor is happy to bring their Porsche dealership to you! Ever since Porsche of Sylvania closed, residents of the Toledo area haven’t had a convenient Porsche dealership to either buy a new Porsche or to find Porsche service in Toledo, OH., but Porsche of Ann Arbor is changing that! How? Sit in the comfort of your home and browse our inventory of new and used Porsche cars online. Once you find one you like, contact us to set-up a test drive – we’ll have the car clean, gassed, and ready for you to drive once you arrive – saving you time and hassle after the short drive from Toledo. Once that dream car is yours – servicing it is even easier! One of the best things about Porsche cars is that they only require one maintenance service each year to keep them in top condition and we’re happy to send a loaner vehicle to your home or office, pick-up your vehicle, and drive it back to our service department to complete your annual service. * After we’re done, we’ll bring it right back to your doorstep – ready for another year of worry-free driving. If you’d rather not put the miles on your vehicle, we also have covered flatbed services available. * Either way, you can be sure your car is receiving the BEST care. 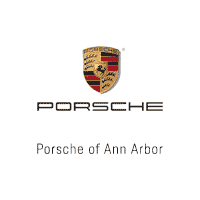 Porsche of Ann Arbor has one of the few Gold Meister Certified Technicians that exist in the entire country. So, don’t drop your dream car off at some German import garage – have Porsche of Ann Arbor’s pick-up and delivery service make servicing your Porsche easy. Call us to set-up your next service at (734) 212-5089. *Contact us for pricing details.